​meets most months for dinner or brunch and to enjoy entertainment and speakers on timely topics. Come join us in the camaraderie. ​(the best for active chapters), making this the eleventh in a row. Lt. Gen. Dana T. Atkins, USAF (Ret), will be the keynote speaker at the Chapter’s 4 May dinner meeting at the Monarch Hotel in Clackamas. The dinner begins at 6:30 p.m. with social time starting at 5 p.m. Gen. Atkins is the President and CEO of MOAA National. His talk will give an update on MOAA national initiatives. Reservations must be made by 11 a.m. on Wednesday, May 1, to Commander Michael Seiwald, USN (Ret), at 503-381-2620. There is a charge of $26 for the dinner. 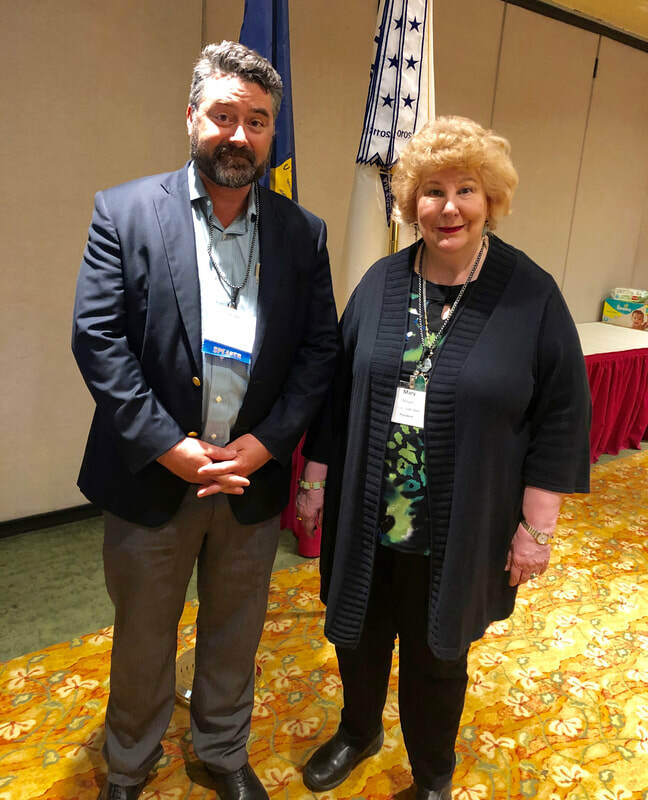 Dr. Justin Cetas, a neurosurgeon at OHSU and the VA hospital, meets with Chapter President Col Mary J. Mayer, USAF (Ret), before the April meeting at the Monarch Hotel in Clackamas. Dr. Cetas discussed ongoing research of the brain at the hospital. • Strength is in numbers, and when we stand together we can get much more accomplished to benefit our brave service members and to take care of our members who have served. • Our chapter helps support retired veterans at their home in The Dalles and Lebanon. • We support our courageous soldiers of the Oregon National Guard who are deployed on operations outside the state and overseas. • We help keep the military in front of area young people and the public and tout the benefits of serving our country. • We participated in the fight to keep the Oregon ANG 142nd Fighter Wing in Portland, which was successful. • Earlier, we fought Oregon’s unfair taxation of military retirees (and other federal retirees) who were being taxed on their retirement income when other retirees were not. Our Portland Chapter joined with other groups to fight this, taking it to the state Supreme Court. We won, and today you may benefit from that if you’re retired. If you’re not retired yet, you could benefit from it when you do. Retirees are taxed on the amount of their retired pay earned after 1 October 1991. 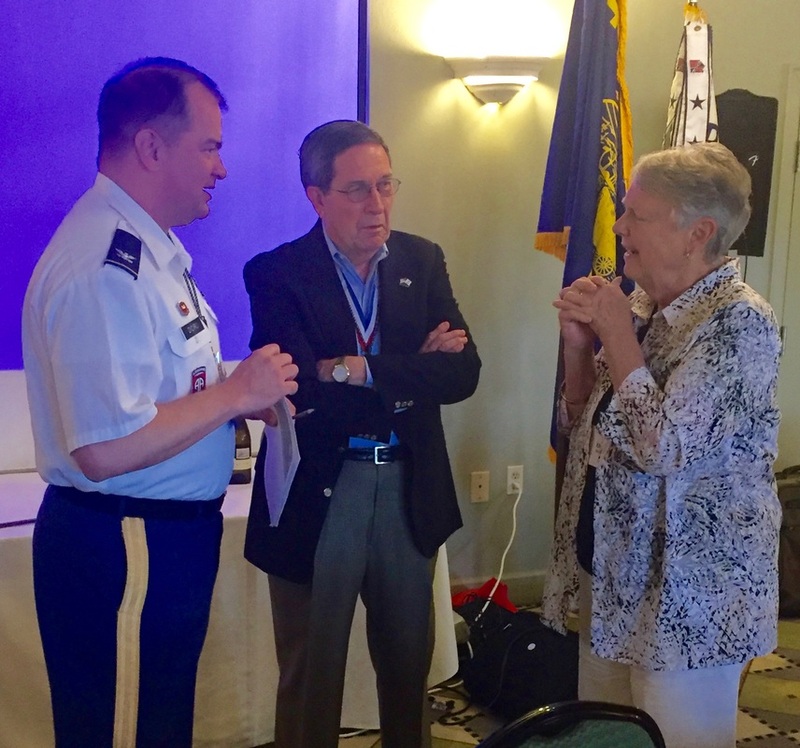 • We participate statewide in activities sponsored by the MOAA State Council of Chapters and the United Veterans’ Groups of Oregon to tackle state legislative issues affecting you and other veterans around Oregon. Your membership in the Portland Chapter supports these worthwhile efforts. •We also have an active Surviving Spouse group, headed by Mrs. Jean Hillman. If you are interested in the Surviving Spouse group and would like to become involved, please contact Mrs. Hillman at 503-692-5571 or budjean@aol.com for further information. Your membership in the Portland Chapter of MOAA keeps your voice in Washington strong as well as in the state’s capital and here at home. Dues are only $30 a year. Please support your local chapter. Click on the Membership Application page for an application that you may fill-out and return to us by mail.